Corrinne Eira Evans creates beautifully handcrafted, delicate and elegant contemporary jewellery using fine metals. Each piece is lovingly made by hand in her studio in Devon. The use of traditional silversmithing skills results in a modern and timeless finish. High end craftsmanship is core to Corrinne's collections. Integral to her work is the historic technique of flat chain mail, which illuminates the feel of the finished piece, sitting & moving with the contours of the body. Gemstones, carvings and fabrications are incorporated into her designs, creating truly unique stylish jewellery, with playful interaction and movement. Collections inspired by Inuit artefacts, First Nations culture and stories ignite endless research and intrigue. Influences of horse blankets, baskets, fabric trimmings and masks can be seen worked into designs of wearable jewellery within both statement articles and more everyday pieces. Corrinne's ability to imagine these objects is coupled with a passion for fine detail and high finish. Each piece is made with a 'hand-me-down' attitude of longevity. Corrinne's passion for jewellery started at a young age, within work experience, at a local Cornish jewellers. Here she learnt the basics and in a commercial and industrial setting, saw a great many antique and uniquely designed items. Time here spanned over 8 years, helping with repairs, between college and university informing her designs and industry experience. Studying first at Plymouth college of Art, in 2001, on a ND BTEC at the tender age of 16, she completed with 'Top Student Award' in 2003. A HND from the Birmingham School of Jewellery, was then acquired, giving specialist knowledge in silversmithing and fine jewellery making, resulting in the GMJ Productions Award from BJA in 2005. Finally a BA (Hons) was secured from Falmouth College of Art (contemporary crafts) re-igniting her interest for mixed materials and processes. Starting up her own business (2009) in York, Corrinne is now happily set up in Devon and is selling within prestigious galleries across the UK and featuring regularly in major exhibitions and contemporary craft fairs. In 2015 it gave Corrinne great pleasure to acquire Associate Member of the Devon Guild of Craftsmen. 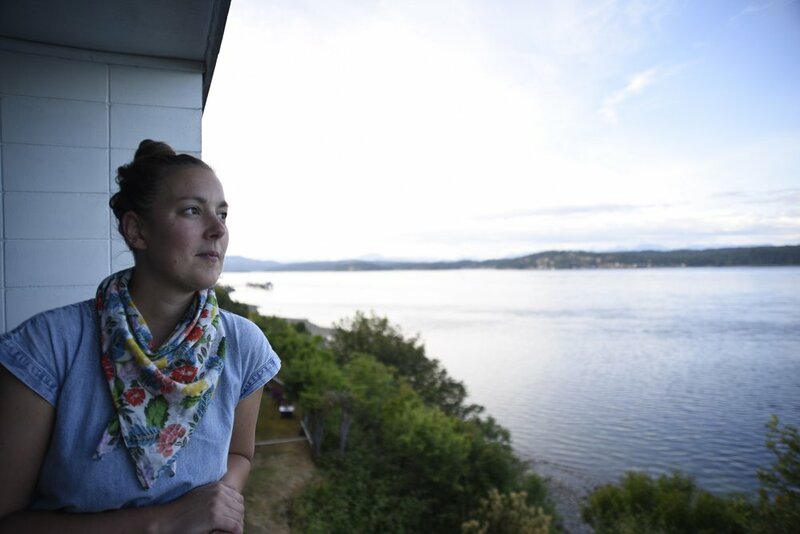 Recently Corrinne's research into First Nations art and culture has lead her on a research trip to Canada, to meet the Kwakwaka’wakw peoples on Alert bay, B.C. She is now working towards a solo & collaborative exhibition of works to be shown at the Devon Guild of Craftsmen in 2020. Sign up here to receive up to date information on up & coming events, exhibitions and offers.